I strongly suggest that you use password managers like LastPass to store all your login credentials. Then you only need to remember one master password for the password manager account. Also use good internet security like Kaspersky, Bitdefender, ESET, Trend Micro. You need to use a strong master password. But memorizing a strong password is not easy. Most people can remember pronounceable words and number. No problem. You can use easy to remember words and number . I will tell you how to make it stronger so that other cannot guess it or crack it. suppose you can remember words like “dragon warrior” and a number like “49637”. Now I will tell you how to create a very strong password just by using these two by formatting and repeating it. You can use the above text as password which a very strong password. Similarly, you can create your own formatting technique that you like and can remember it. 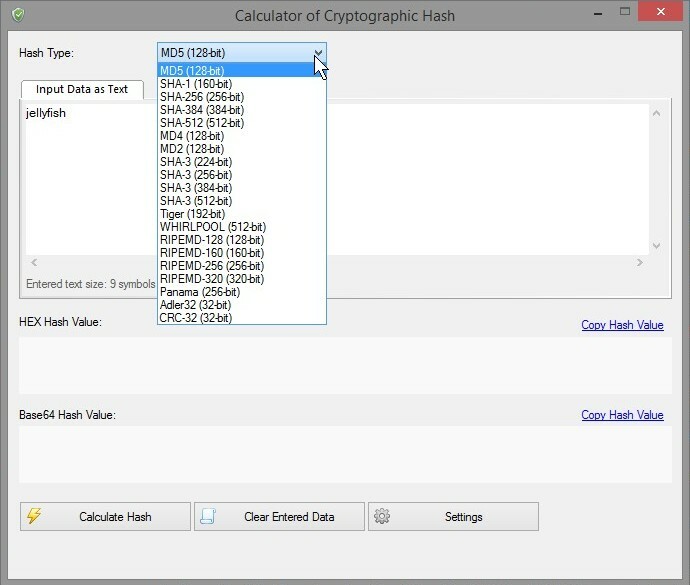 Similary you can create many strong passwords that are easy to remember. Don’t use too complex formatting otherwise you will forget it. 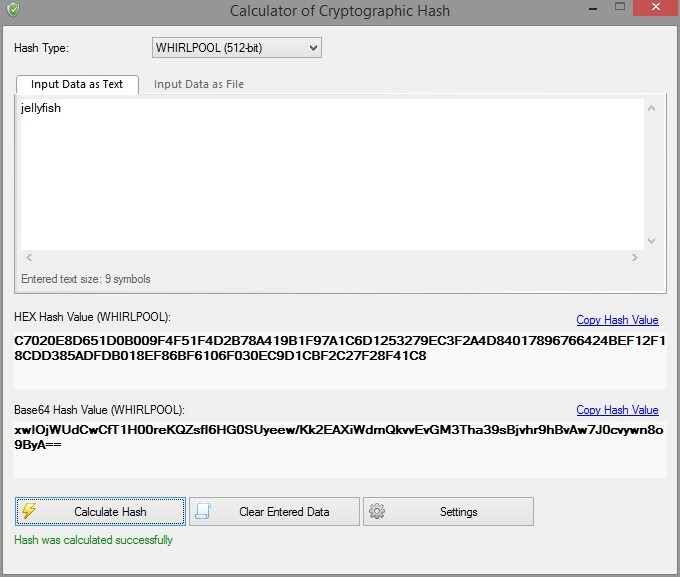 For this you will require VSCryptoHash software. Download and install it. 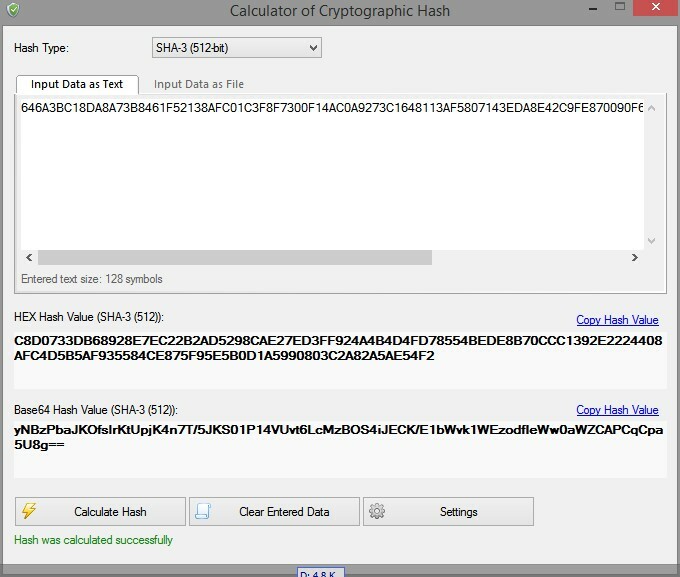 Select SHA-3 (512-bit) as hash type. 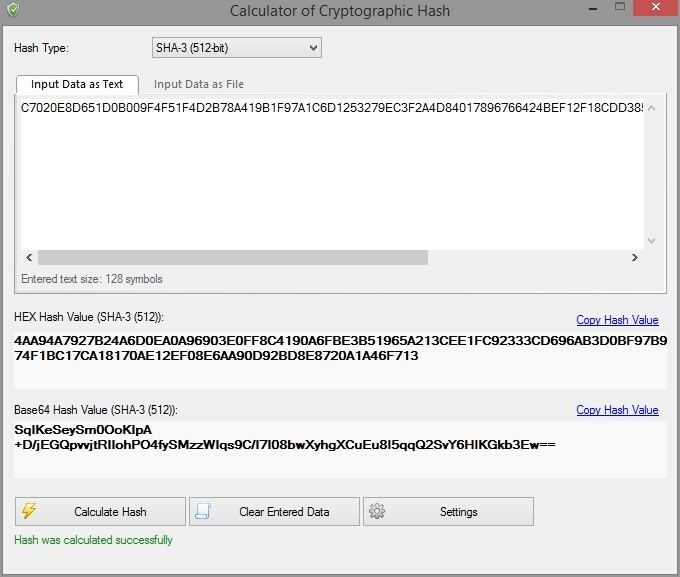 this 128 character long password. So anyone trying to crash this lengthy password will fail. 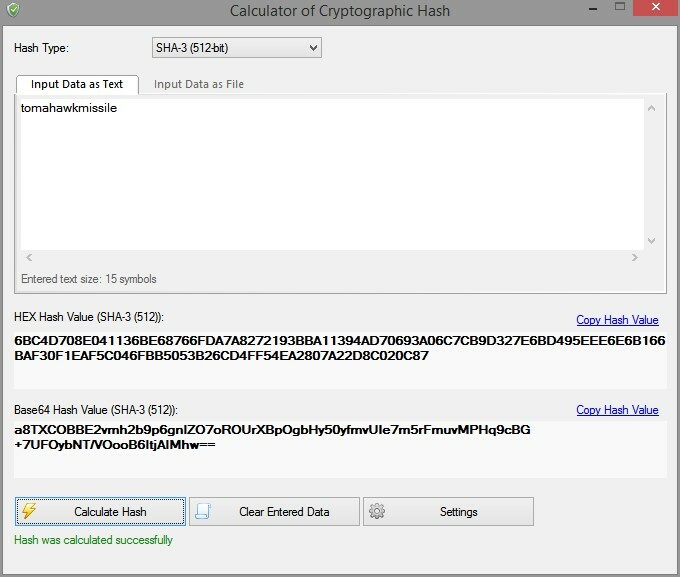 Instead of SHA 3 (512-bit) you can use other hash algorithm also. 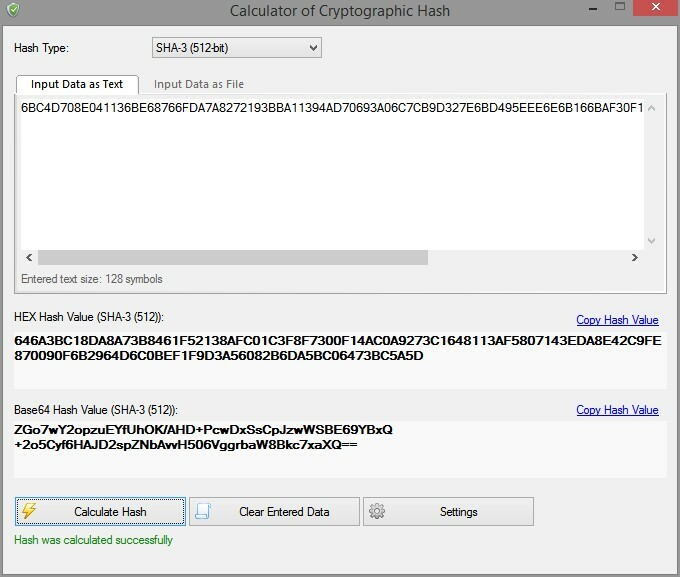 Depending on the hash algorithm you use, the output HEX hash value size will change. You may use various tricks. But just don’t forget what trick you have used or else you won’t be able to recover the lengthy password. 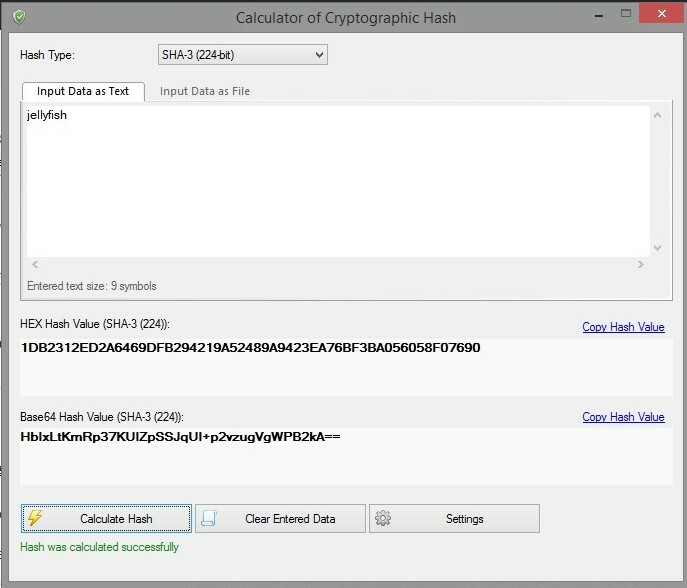 Example : You may use only “AE6AD23F446310D777C25300EF14BF2C7939F2505B63A4E46ED98CF498F513E274EA99E48632DB” as password instead of whole HEX hash value by cutting out “CAFA0CE29D7E5DDACAB1ED2A6A732778EED71C14CE4CD9E301” from it. 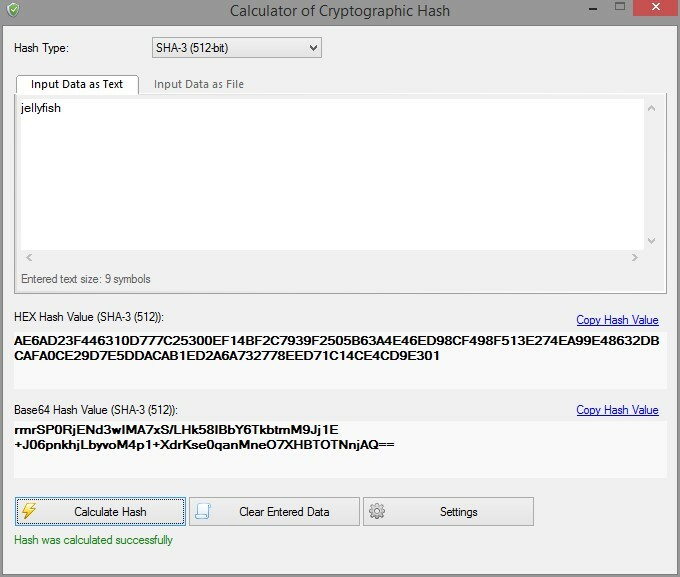 You may two or more hash algorithm to create a final lengthy password. A strong password is must to provide strong security to your online login credential. But the problem is the strongest password is difficult to remember. Also using simple password is not good because it can be cracked very easily. The more long a password is the more strong it is. You may also go like this by changing words “callofdutyihopethisisstrongpassword” to “CALLofDUTYiHOPEthisISstrongPASSWORD“. You may also change words like this by repeating letter to specified no of times. Change “callofduty” to “ccccaaaallllooooffffdddduuuuttttyyyy“. You may also repeat numbers to specified times. Like change “84790” to “888444777999000“. You may mix numbers and words. Like mix “callofduty” to “84790” to create “c8a4l7l9o0fduty“. Use some letters of phrases and quotes. Like from “If something sounds too good to be true it is probably false” take first letter of every word which makes “isstgtbtiipf“. Use symbols instead of number. 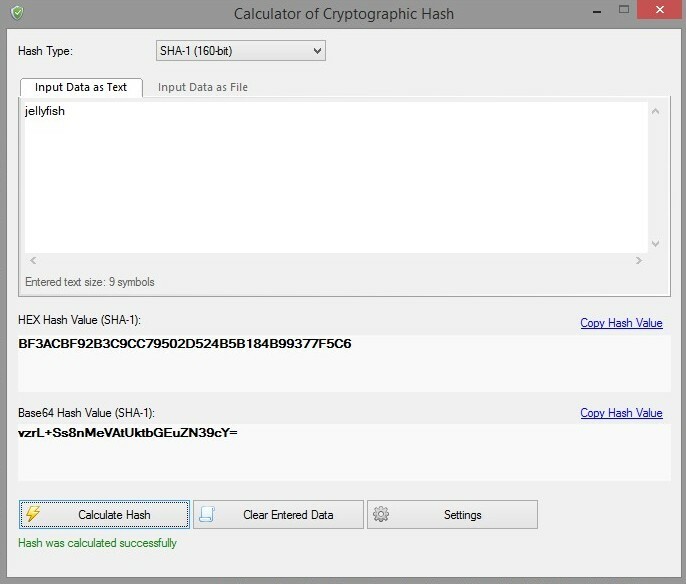 Replace number “84790” with symbols “*$&()” which correspond to that number in keyboard. Play more with keyboard. 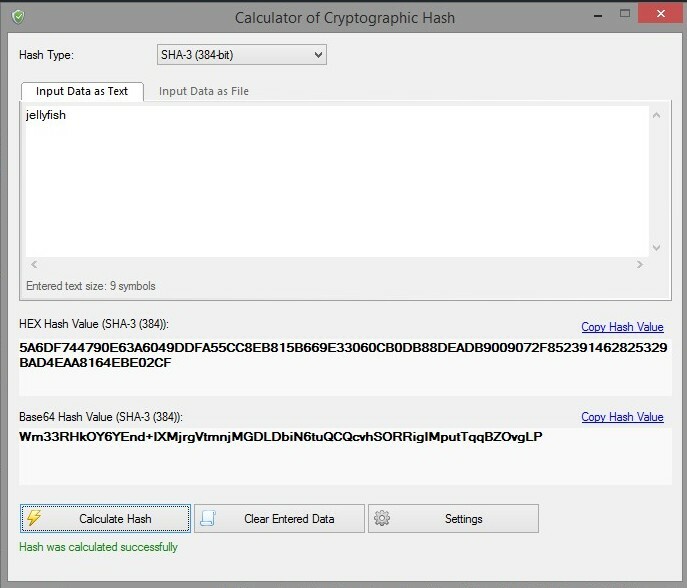 Replace number with symbols before or after that number. 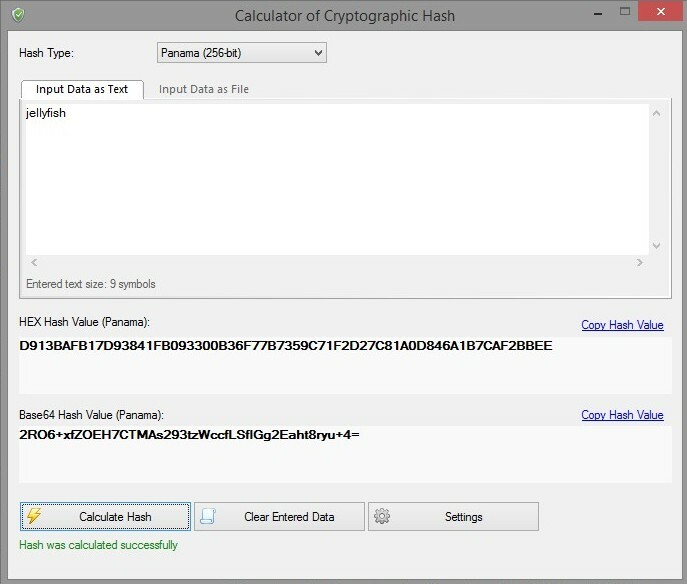 replace number “84790” with symbol before that number “&#^*(” or with symbol after that number “(%8)_“. Just repeat the word. Repeat word “mercedes” to “mercedesmercedesmercedesmercedes” . A good password is required to have letters in both lower and upper case, numbers and symbols. Also the length must be large than 12 characters. Say I can remember only “mercedes” and number “87402“. I change “mercedes” to “MeRcEdEs“, and get symbol associated with number before “87402” which is “&^#(!“. 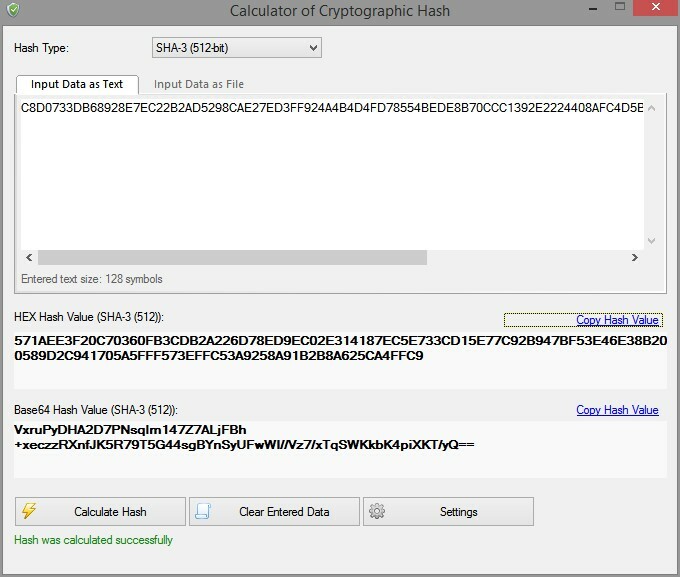 Thus making final password “MeRcEdE87402&^#(!” which is difficult to guess or crack.